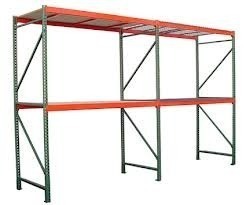 Our esteemed clients can avail from us a quality range of Assembly Racks. These are manufactured by our skilled and talented technocrats in compliance with defined quality standards. We are using best quality material in the production process to ensure application specific design, high performance and longer service life. With rich industry experience & knowledge, we have been able to provide the best array of ESD Safe Rack. : Bihar Caustics & Chemicals Ltd.
We are instrumental in offering Assembly Racks to our clients. 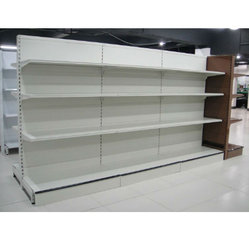 These assembly racks are manufactured using premium quality raw material, which is procured from trustworthy vendors. We also offer customization of these assembly racks as per the details provided by the customers. To insert the Rack & Valve during steering assembly, we have done RACK&VALVE ASSEMBLY STATION. During this assembly it automatically apply grease & exactly rotates the position of the rack to insert the valve for both LH & RH Models using Servo system. We manufacture, export, and supply hose rack assembly produced by using high pressure braided rubber hose. The hose rack assembly offered by us is designed by using latest machines. Our hose rack assembly is conformed to is: 884 standards, making it a quality rich product.